Formerly known as the Toyota Grand Prix, the Acura Grand Prix of Long Beach is a three-day series of races, concerts, and exhibitions that takes place in April each year. Since there's a lot going on during the event, visitors should come prepared so that they don't miss any exciting opportunities, activities, or discounts during their trip. 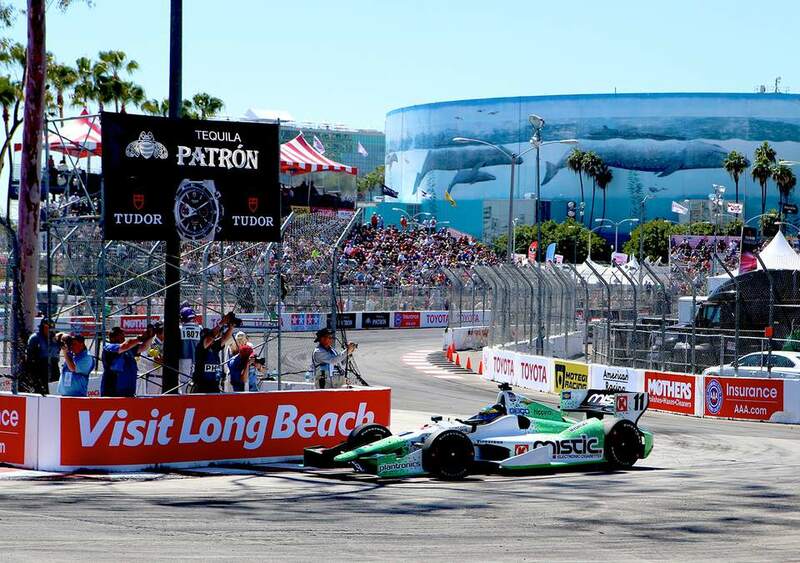 From finding the best prices for seating to going all out for a spot in the Pit Lane, there's really no wrong way to enjoy the Long Beach Grand Prix. However, these insider tips can go a long way to making the most out of your race experience. There are a variety of great ways to experience the races without spending a fortune on your trip including free general admission on Friday and standing room tickets on Sunday. Free general admission tickets for Friday's qualifying races are available through a variety of sponsors; you can check with Acura dealers near you and other sponsors to see if they have free tickets, but a test drive may also be required. Additionally, there are occasionally also advance discount tickets available through Goldstar. If you're going general admission on Sunday, there is no seating, just standing room. Sunday is the only day you really need a reserved seat if you want to sit down. There is a raised platform for handicapped guests in wheelchairs and scooters with general admission tickets, with one helper seat per wheelchair or scooter. However, it's important to keep in mind that Sunday Only Seating is not only for Sunday. Grandstands marked "Sunday Only" are reserved for General Admission ticket holders who have Sunday Only tickets—on Sunday. On Friday and Saturday, any General Admission ticket holder can sit there whether you have a Friday or Saturday Only ticket or a three-day ticket. If you're not concerned with saving money during your trip and you really want to experience the Long Beach Grand Prix in style, there are several different options for spending more to get more. If you're a photo buff who's more concerned with getting great track shot than having a place to sit, the three-day Super Photo ticket gets you access to the IndyCar Paddock and four exclusive shooting zones with clear track views as well as limited access to the pit. However, it's important to keep in mind these areas are not where the media photographers will be set up and certain restrictions apply. For the best seat on the circuit, you can book a three-day ticket to the Pit Lane Club, which gets you a reserved seat in an elevated canopy above the Pit Lane with closed circuit TV monitors, a full open bar, and continental breakfast all three days, snacks Friday, fine dining Saturday and Sunday, a souvenir package, and one parking pass for every two tickets. You will also get Bosch Champ Car Garage access and limited Pit access at posted times, but there is a limit of eight people per group. No matter which option you go with—aside from the VIP package—you'll still need to find the seat with the best view if you really want to enjoy the race. Sometimes it's hard to tell from the descriptions and even from the Circuit Map what the view will look like from any given seating area, but this gallery of Grand Prix seating can give you a better idea of what the views look like from various sections. When it comes to choosing your general admission seat, Grandstand 7 at turn 6 has the best views of all the general admission areas. You can see more different spots on the track from here so you see more of the race. Grandstands 5 and 6 are good, too, but you don't have the cars in view all the way up Pine Avenue the way you do from 7. While the Super Photo stands have the best views of specific areas of the track and bars and restaurants offer closed-circuit televisions with commentary, you may want to stick with these general admission sections if you can find a seat there. For more Grand Prix Resources, visit the Long Beach Grand Prix Guide or go straight to the Grand Prix Schedule.